A lung cancer therapy can more than double life expectancy in some patients, a "milestone" trial shows. Nivolumab is one of a suite of drugs called "checkpoint inhibitors" being developed by pharmaceutical companies. 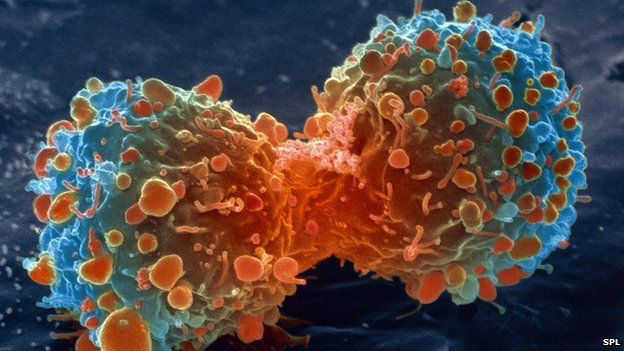 Lead researcher Dr Luis Paz-Ares, from the Hospital Universitario Doce de Octubre in Madrid, Spain, said: "[The results] mark a milestone in the development of new treatment options for lung cancer." 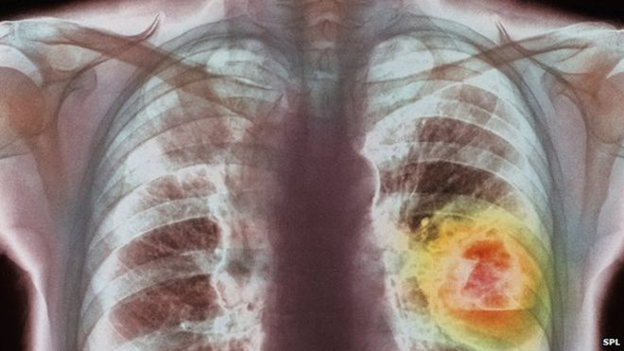 "Nivolumab is the first PD-1 inhibitor to show a significant improvement in overall survival in a phase III trial in non-squamous non-small cell lung cancer." He told the BBC News website: "It's really exciting, I think these drugs will be a paradigm shift in how we treat lung cancer." He said that after chemotherapy failed, current survival rates were "dire". "But in those that respond [to immunotherapy] there seems to be very prolonged disease control, I think it's a huge shift in lung cancer and for patients it's going to be dramatic," he said. Cancer Research UK said harnessing the immune system would be an "essential part" of cancer treatment. Dr Alan Worsley, the charity's senior science information officer, told the BBC: "This trial shows that blocking lung cancer's ability to hide from immune cells may be better than current chemotherapy treatments." "Advances like these are giving real hope for lung cancer patients, who have until now had very few options."